I began my writing journey in January 2011. At the time my husband was way from home completing his training to become a soldier. My oldest son would soon leave to begin his training to become a sailor. We were introduced to military life with what felt like one big pendulum swing: a civilian family one moment, a military family the next. Writing became an outlet for processing the emotions that came along with this new journey. It provided both comfort and healing; especially on the days when my heart ached to have my family together again. Those earlier writing days were under a different blog name. I’m embarrassed by the writing but bad or good, God used it to draw me closer to Him. The whitespace originated with chronicles of becoming a military family, but morphed into something so much more. A transformation took place in both my heart and my life. The kind of transformation only God can do. 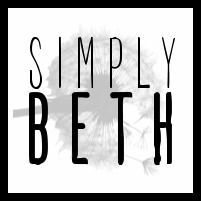 In January 2013 I got brave and launched a new blog site: Simply Beth. With shaking hands, and at times lots of doubt, I threw myself into what many call the blogosphere. Never did I imagine the community I’d find there. The online world I discovered taught me what it meant to encourage one another. People I had never met in real life came along side of me to encourage me in the twists and turns of life. When my husband and I were preparing for his first deployment online friends prayed for us. Throughout the deployment they have been a continual source of support . . . similar to Aaron and Hur when they held up Moses’ hands in Exodus 17. God planted a desire in my heart to hold up the hands of others. Take what you received and give the same to those in need. My first experience with a community group came as a participant of a writing group. A small group of approximately thirty writers, at various stages of their writing journey, came together for six weeks to be encouraged and to encourage. These women gave me the courage to step out in faith with my own writing. Many of them I remain friends with online. One of those ladies actually reached out when she launched a new website called Outside the City Gate and asked me to be a part of the Facebook team. 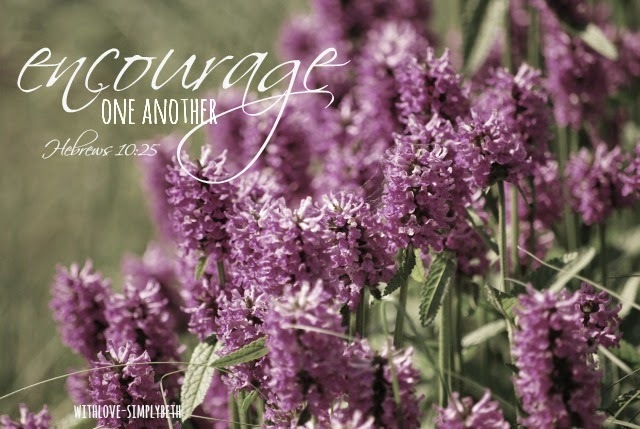 When the next (in)courage session came along my husband’s deployment loomed. I needed to be encouraged so I joined the group for Military Wives. And the next session I figured the best way to survive the deployment required me to take the focus off of myself and encourage others spouses through the challenges military life can bring. For six weeks we spent time getting to know one another. We prayed for each other, celebrated big and little milestones in our lives with virtual confetti, read from a devotional written by another military wife, Kristen Strong, and counted the ways God blessed us in the everyday mundane moments. I came to encourage these ladies but ended the session encouraged by them. I’m more than halfway through my husband’s deployment and ready to co-lead this group of amazingly brave and strong women for another six weeks. 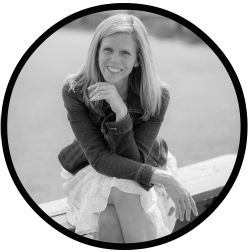 This time my dear writing friend, Karin of Sunrise With A Six Pack, will be my co-leader. I could not be happier to have her by my side. Friends, you do not need to be a writer. No matter what your passion or season in life may be, there is an (in)couragers community group for you. There are over 70 groups to choose from. I invite you to join me and many other women by registering today for the encouragement our hearts all need. You will be blessed. I promise. 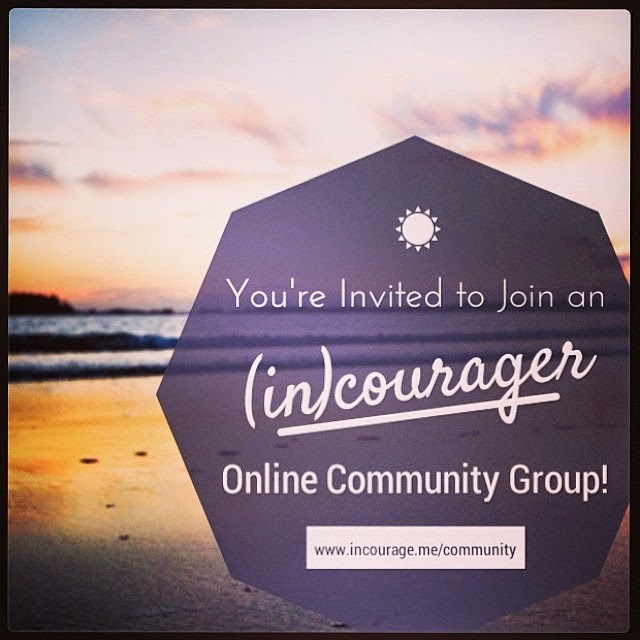 Head over to (in)courage to review the list of community groups, select a group, register and then meet your encouragers. If you are a military wife looking for encouragement, please join Karin and me. You can register for our group here. So glad to learn a little more about the beginning of your writing journey!! Blessings on you and your group. Much love to you...and have a good Monday! Blessings to you and your group too, Holly. I so enjoyed learning how it all began & developed for you. Blessings as you lead your group! Thanks for sharing your online blooming process! I should do that too. It was quite significant in my entire ministry as a whole. You've inspired me to tell that story! I'm glad it inspired you. I will be looking forward to hearing yours. Blessings. Our faith journeys are so important, Beth. Thank you for sharing yours! I may check out (in)courage, I've heard a lot about it. I'm not very good about doing things "in community" - it is something I am trying to be more intentional about :) Have a blessed day, my friend! June, I really hope you had a chance to check out (in)courage. There are many wonderful groups to choose from. I think I may just email you about one of them. Yes...doing that now. Blessings to you, friend. I love that you have found ways to get involved in community when you needed and that you are leading a group now! I didn't really catch the concept until it was too late to sign up to lead a group, at least I think it is. It sounds like a great idea! Wishing you many blessings in this journey Beth. May you encourage and be encouraged! Thank you so much for your kind words. Blessings to you. There isn't a day that goes by that I don't thank the Lord for the tremendous blessing of the online community in Blog Land. I have made deep friendships that have upheld me through some tough stuff, and who have always served to inspire, challenge, convict, and encourage me. God does some great stuff through blogging, and I am so glad that He called me to it. Funny, my thoughts today on my blog reflected on the online community. And yes, Beth, doesn't it just bring us so much JOY?! He surely does do some great stuff, Sharon. And one of those would be connecting me to you. Oh so grateful!! The friends made in this online world do bring GREAT JOY! Much love to you. I'm so excited for you and your group. I know you will be such a blessing to the ladies who join you. Love you, friend. Thanks for letting us know that the new groups are starting!! I just signed up for an "empty-nester" group and I'm really excited for it to begin! Oh, I was a bit slow (absent minded!) about putting up my blog linky, but it's up now if you want to link this post and get the word out! I'm so glad to hear you signed up for a group, Joan. They really are a good source of encouragement. Love you so much. Visiting again from The Beauty in His Grip. I signed up for a foster mom group. Tears welled up shortly afterwards. Missing my foster kiddos. Wishing you blessings in your group! I'm so glad you joined a group, Jolene. This made me smile!! Thank you for sharing. I know you will be encouraged from it. Much love to you. So glad you are leading a group. What blessing when your gifts champion the hearts of others. I completely agree, Lisa, and I just adore your heart for serving others. You inspire me. Much love. Sarah, your comment truly touched my heart. Thank you. I am so grateful for your friendship in this beautiful online world. In this short time we've known each other you have been a tremendous blessing to me. God is so good!! Much love to you.